Science, religion, philosophy: these three categories of thought have organized humankind's search for meaning from time immemorial. 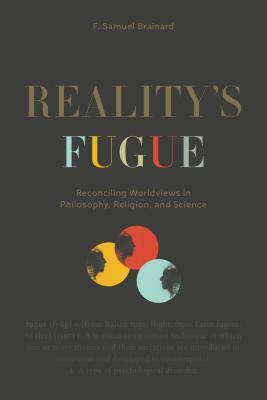 Reality's Fugue presents a compelling case that these ways of understanding, often seen as competing, are part of a larger puzzle that cannot be rendered by one account of reality alone. This book begins with an overview of the concept of reality and the philosophical difficulties associated with attempts to account for it through any single worldview. By clarifying the differences among first-person, third-person, and dualist understandings of reality, F. Samuel Brainard repurposes the three predominant ways of making sense of those differences: exclusionist (only one worldview can be right), inclusivist (viewing other worldviews through the lens of one in order to incorporate them all, and thus distorting them), and pluralist or relativist (holding that there are no universals, and truth is relative). His alternative mode of understanding uses Douglas Hofstadter's metaphor of a musical fugue that allows different "voices" and "melodies" of worldviews to coexist in counterpoint and conversation, while each remains distinct, with none privileged above the others. Approaching reality in this way, Brainard argues, opens up the possibility for a multivoiced perspective that can overcome the skeptical challenges that metaphysical positions face. Engagingly argued by a lifelong scholar of philosophy and global religions, this edifying and accessible exploration of the nature of reality addresses deeply meaningful questions about belief, reconciliation, and being. F. Samuel Brainard is an independent scholar of Asian and Western religion and philosophy. He is the author of Reality and Mystical Experience, also published by Penn State University Press.